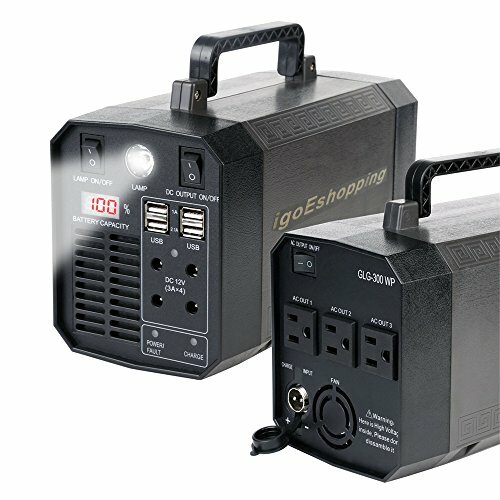 Three 110V AC outlet (for small appliances up to 300W), Four 12V DC 5.5mm ports ( 120W total) power for string light, led starry light, fairy Light for garden, wedding, Xmas or Holloween party and 4 USB ports to charge electronic devices like smartphones, tablets or bluetooth speakers,mini fridges,scoorter,quadrotor, filming photography lighting,playstation etc,like a Powerhouse around you! No matter where your adventures take you, charging up the power Station is quick and easy. It will have a widely use and more efficiency and provides safety to your device with the same clean energy you'd receive from a house outlet. Safety Guaranteed and Warranty - BMS Provide short circuit,Overcharger Overload protection,environmental protection,energy saving and fire-proof ABS material and our worry-free 18-month warranty and friendly customer service.